Oil And Gas Company Says It Will Not Carry Out Extractive Operations Within Natural World Heritage Sites, Including The Democratic Republic Of Congo's Precious Virunga National Park. 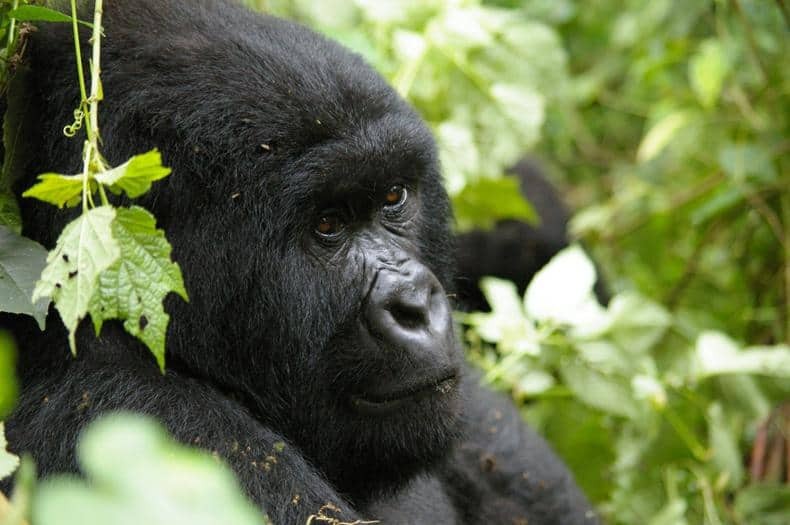 One of the top biodiversity sites in Africa, Virunga National Park, is home to some 100 remaining mountain gorillas. It was established in 1925 as Africa’s first national park and in 1979 it became one of the first World Heritage Sites. It also features on the Ramsar List of Wetlands of International Importance. Despite being listed as a World Heritage Site in Danger for 20 years, threats to the park remain highly critical and include oil exploration, armed conflict, illegal wildlife trade and occupation. The International Union for Conservation of Nature (IUCN), which is the official advisory body to UNESCO on natural World Heritage, has made repeated calls in the past on extractive industries and the governments that licence their activities, to stop oil and gas exploration and exploitation within World Heritage Sites. Until now, Royal Dutch Shell plc was the only oil and gas company to have made such a commitment, and now Total has also pledged not to extract from within Natural World Heritage Sites. Threats from the extractive industry are particularly serious in Africa, where one in four natural sites is affected. Virunga National Park in the Democratic Republic of the Congo has been at highest risk in recent years, after the Congolese Government granted permits to carry out exploration in the park. Total’s ‘no-go’ commitment takes some of the pressure off Virunga National Park. It also indicates that the company will respect the current boundaries of the park even if part of the park’s protection is removed. Despite Total’s announcement, another UK-based company SOCO is pursuing extractive operations in an area overlapping Virunga. Global response to the threats affecting World Heritage Sites will be discussed at the forthcoming IUCN World Parks Congress this November in Sydney, Australia.